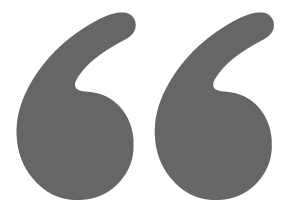 Before Roger Bannister broke the four-minute mile barrier, it was said to be impossible. Experts claimed that it was not humanly possible to run a mile in less than four minutes. Your heart would explode if you made it, they said. You were crazy to even try it, or so the stories go. Despite these expert opinions, on May 6, 1954, the 'impossible' was achieved. 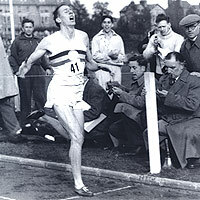 Two months after Bannister's accomplishment, two competing runners both ran sub-four-minute miles in the same race. Bannister had removed the barrier. The impossible was now possible. That was then. Now Tesla's cars have piles of accolades. They had a successful IPO and their stock is flying high. They have the most innovative vehicle on the road today, a worldwide network of charging stations, their third vehicle is coming soon, and they have the world's largest battery factory in the works. I think it is safe to say that Tesla has broken down a few barriers. Now that the trail has been blazed, there are two competitors trying to follow in Tesla's footsteps. Certainly, there are legacy automakers that are making EVs (Nissan and BMW to name a couple) but these two new companies are much more in the footsteps of Tesla; they pure electric start-ups and even based in California. The two start-ups trying to wind draft on Tesla Motor's success are Atieva (now called Lucid Motors) and Faraday Future. Both are hiring ex-Tesla employees to clone whatever bit of Tesla culture they can, while making appeals to all the venture capital investors that are kicking themselves for missing out on their chance to own a big chunk of series A round funding in Tesla. It is hard to say if either of these companies will have a future, but they are just the first of many we'll likely see in the next few years. These are interesting times. Traveling the OReGO Trail - Saddle Up!